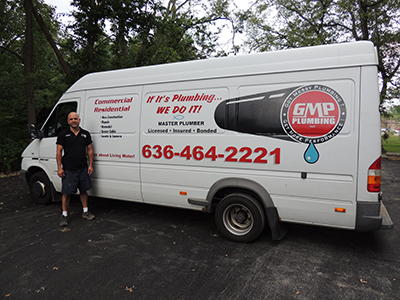 Thank you for choosing GMP Plumbing, we’re one of the top plumbing residential and commercial companies in St. Louis. If you’re looking for an experienced master plumber, then look no further! We have assembled some of the best available teams of plumbers; whether you need us to fix that leaky faucet, or you’re looking for a plumbing renovation, we can help! It is our belief that delivering stellar and efficient plumbing service earns clients’ trust and confidence, encouraging them for repeat business and referrals. At the heart of our efficient water heater service is our most professional plumbers that passed rigorous trainings. When we send a plumber to work on one of our projects, expect the most qualified plumbers to come knocking on your door and diagnose your concern using cutting edge equipment. 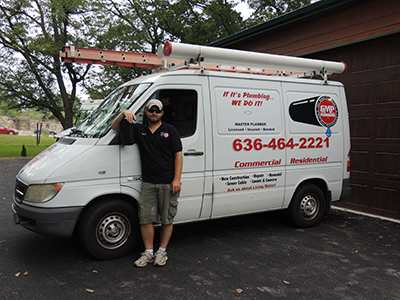 Whether providing commercial toilets service or fixing leaky faucets, each of our plumbers are supported by our inventory of plumbing tools and equipment. Our contractors reflect our company values, delivering consistent service and holding the highest integrity. Each of our plumbers are professionally trained, licensed and well-informed on the latest developments in plumbing practices. Customers have accepted this as the norm. Weekly we receive positive reviews from customers, raving about how professional, informative and respectful our plumbers are, even if a job is as small as fixing a leaky faucet! Whether residential or commercial plumbing, we streamline our process for a highly effective and efficient service. Our contractors assess your needs, diagnose your problems and suggest cost-effective solutions. We are upfront with our estimates to avoid any surprise charges. We adopt the philosophy “If it’s plumbing, we do it” which means we take over all your plumbing needs. It doesn’t matter if you need repairs, building new, or remodeling, we can do it all! Plumbing is a serious passion of ours. Our service of several worthwhile causes act as testament to this fact. We have worked with a number of St. Louis churches, donated plumbing services to those less fortunate, and in a few cases, third world countries. We love helping others as best as we can, through quality plumbing renovations!